Yanick Lahens was born in Port-au-Prince in 1953. 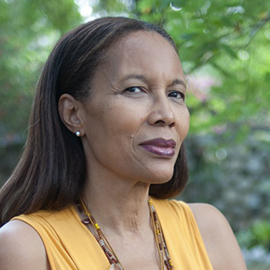 After attending school and university in France, she returned to Haiti, where she taught literature at the university in Port-au-Prince and worked for the Ministry of Culture. During her time with the Ministry of Culture, she led the project “Road to Slavery”, focused on addressing the issue of slavery in Haiti. She authored a collection of critical essays, and has written several articles for Caribbean publications, including Chemins critiques, Cultura, and Boutures. Lahens cohosts “Entre Nous”, a cultural radio program on Radio Haiti. She has published three collections of short stories. 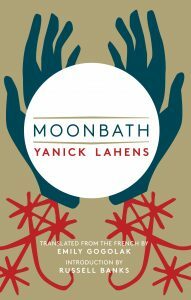 Her first novel was published in 2000, and she won the prestigious Prix Femina for Moonbath in 2014. She currently lives and works in Port-au-Prince, where she is a member of the board of the International Council of Francophone Studies (CIEF). The award-winning saga of a peasant family living in a small Haitian village, told through four generations of voices, recounting through stories of tradition and superstition, vodou and the new gods, romance and violence, the lives of the women who struggled to hold the family together in an ever-shifting landscape of political turmoil and economic suffering.